“We were definitely able to come up with a beginning and a start on how to approach that in pre-defining what a champion really is,” said Allums, whose foundation I M Enough seeks to support both trans and non-trans athletes through scholarships. He also seeks to create trans visibility through photography, art and storytelling. Outsports.com co-founder Cyd Zeigler, Jr., National Center for Lesbian Rights Sports Director Helen Carroll and Pat Griffin of the Gay, Lesbian and Straight Education Network conceived of the summit nine months ago in response to what they described as a lack of communication and cohesion among groups fighting homophobia and transphobia in sports. “I wanted to get everybody in the room to talk about this and work through whatever’s stopping us from working together as a team,” Zeigler told the Blade. LGBT athletes have gained more visibility in recent years with former NFL player Esera Tuaolo, former NBA center John Amaechi, Women’s National Basketball Association player Sheryl Swoopes and most recently former Redskin Wade Davis publicly discussing their sexual orientation. Former NFL player David Kopay in 1975 became one of the first professional athletes to come out. Former professional tennis players Billie Jean King and Martina Navratilova publicly disclosed their sexual orientation in 1981. Olympic diver Greg Louganis followed suit in 1994. In spite of these out athletes, LGBT visibility remains an issue in collegiate and professional sports. 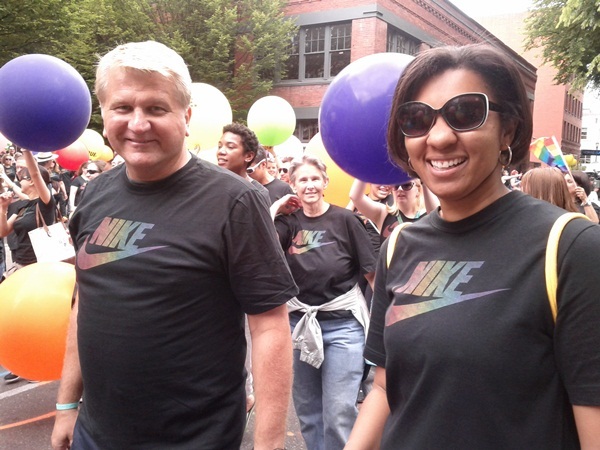 Sherri Murrell, the head women’s basketball coach at Portland State University who attended the summit, remains the only out lesbian coach in NCAA Division I women’s basketball. Kirk Walker, head softball coach at Oregon State University, is also gay.